In this guideline we seek to prevent possible feelings of coercion in online relationships. A supervisor inviting an employee to connect on Facebook could put the employee in an awkward situation. Employee “friend” requests of supervisors don’t seem to carry the same potentially coercive baggage. Just as guideline seven facilitates graceful declination of patient and family friend requests, employees can point to this one if receiving supervisor requests. Of course there’s nothing wrong with continuing workplace friendships online and can, in fact, contribute to team cohesion. But online connections need to be completely voluntary. 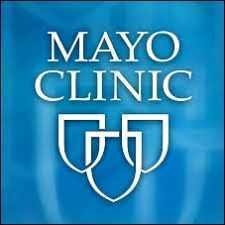 Mayo Clinic offers a helpful alternative in Yammer, our officially recognized workplace social network. Many work teams find it helpful for sharing resources and collaborating, as well as real-time conversation. Just as we should maintain boundaries of propriety in patient-provider relationships, so should we in employee/supervisor interactions.